Verse for anyone whose heart beats in time with the city’s. Gazing at the stars from five storeys up. Smelling the bins from five storeys below. Overheard arguments, overheard laughter. TV aerials like dead branches. A vanishing father; a mermaid-queen mother. Bullies who kick you under the table. 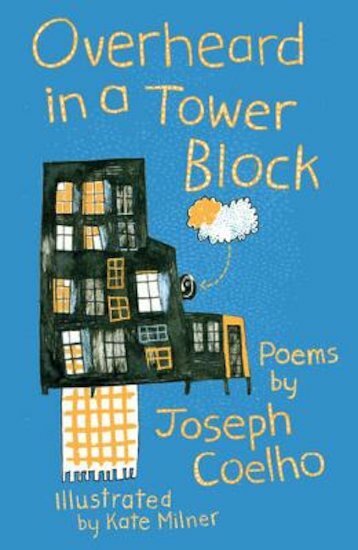 Perfect red trainers – a present from Dad… Top poet Joseph Coelho captures the dreams and dangers of growing up in the city in this moving, powerful poetry book.